Porto-Vecchio is a very popular town on the south-east coast of Corsica about 25 kilometres north-east of Bonifacio. 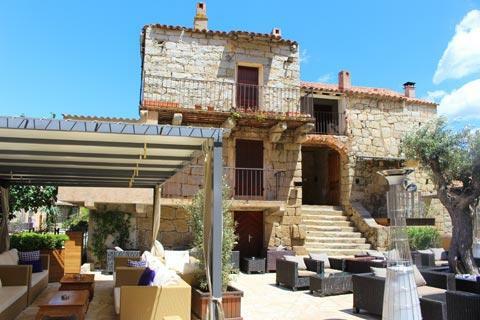 The town also has easy access to both beautiful beaches and high mountain scenery, which explains its popularity with visitors to Corsica. 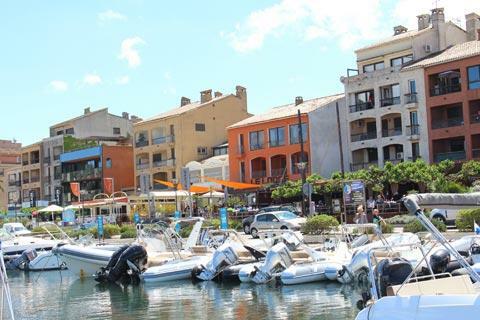 The marina part of the town is built on ex-salt marshes and salt continues to play an important role in the life of Porto-Vecchio. It was because of the marshes that this region was not developed earlier, since they were infested with mosquitoes and malaria until well into the 20th century, althouth the citadel on the hill dates back to the 16th century. During the mid-20th century the marshes were drained, which in combination with improved communication links has enabled the town to develop its current role as a seaside resort. 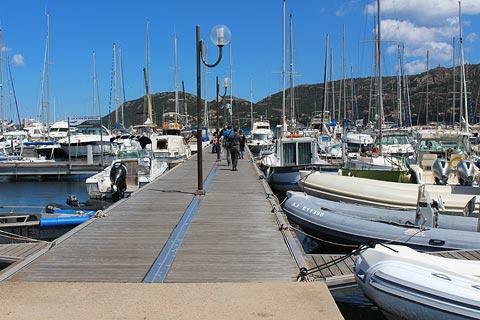 The town of Porto Vecchio has two distinct areas to explore: the citadel and old town, and the marina. Start your visit with a stroll around the marina. The marina is attractive, and although quite small there are plenty of cafes and restaurants overlooking the harbour. it is a very popular place to promenade, and the perfect place to spend a summer evening. From here you can walk up the hill to the citadel. Within the old town there is a numbered trail that you can follow to see the important highlights, but in truth the town centre is quite small and as you wander around you will see the sites of interest anyway. 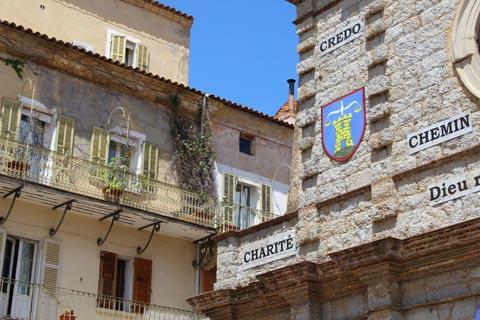 The citadel and streets of the old town date from the 16th century, when the Genoese controlled Corsica. 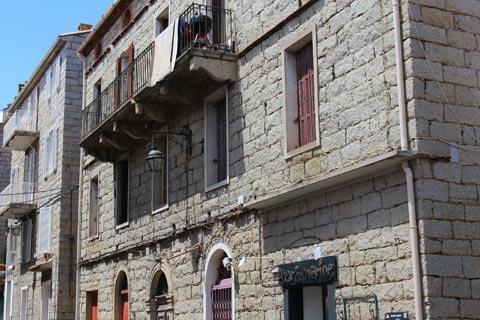 Within Porto-Vecchio old town around the Place de la Republique you can discover the original defences and ramparts, some lovely old buildings pressing in on narrow streets and squares of picturesque houses. 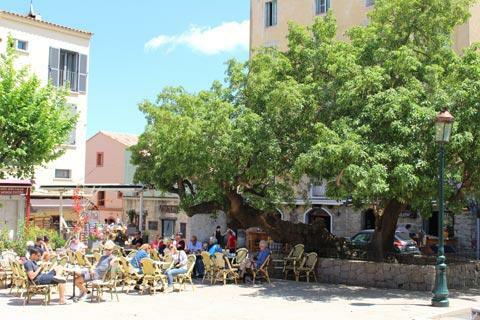 One of the best known sights in the Place de la Republique is the tropical tree called the 'Bel Ombra' that was given to the town in 1901 and is now 10 metres across. 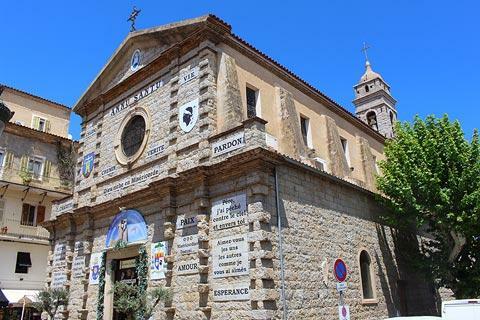 The Church of Saint-John-the-Baptist was built in the 19th century and rather plain on the outside, because the funds ran out before the facade was completed. Step inside to see the ornately decorated interior, then return to the Place de la Republique to visit one of the cafes in the square. 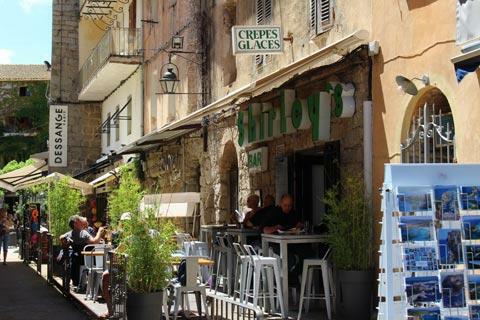 Another highlight is the picturesque Place Ettori, off Cours Napoleon. The old house with a big staircase in this square was once the hospital for the Genoise troops. 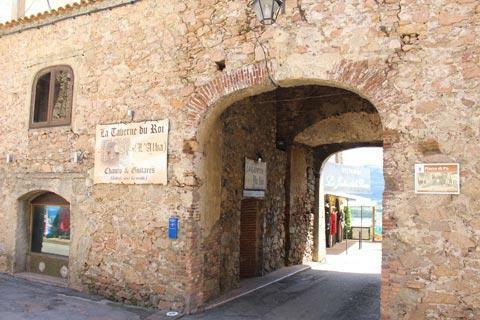 There are lovely views from the defensive bastions, and the old town comes to life with music and entertainment during summer evenings, which is a good time to enjoy the town at its best. If you visit in September you can watch the annual salt harvest from the Porte Gènoise, the original entrance to the citadel. 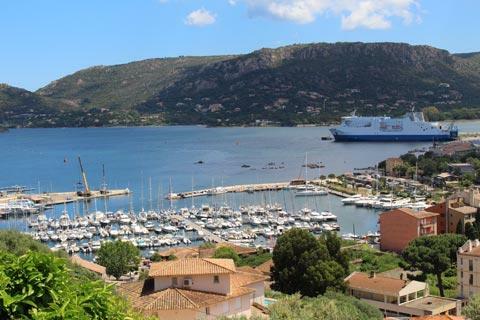 France This Way comment: although it is a very pleasant town with a lively atmosphere, Porto-Vecchio is also smaller than we expected and there are not many important historic monuments. So a good town to enjoy the atmosphere but one that doesn't take long to explore. Above all it is the beaches and coastline around the town that are the big attraction, with several stunning beaches in the bays along the nearby coast in both directions, typically beaches of fine sand, with the turquoise waters of the Mediterranean backed by extensive pine forests. The beaches to the south of Porto-Vecchio are most popular with visitors. The beach at Palombaggia to the south of Porto-Vecchio is internationally renowned as one of the most beautiful beaches in Corsica, with other popular beaches along this stretch of coast including Santa Giulia, a little further south, Tamaricciu, and other smaller beaches between the two. Heading north from the town the most important beaches are those at Cala Rossa, then Saint-Cyprien and Pinarellu a little further north. 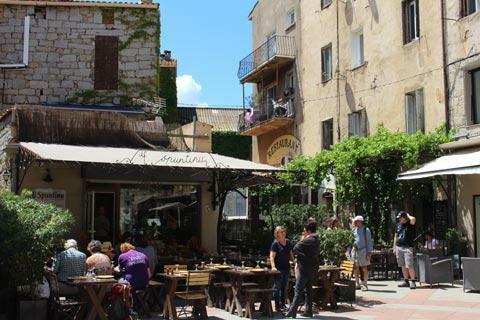 Saint-Cyprien and Palombaggio are especially known for being child-friendly beaches. See Porto-Vecchio beaches for more information. Boat trips to the Lavezzi islands leave from the harbour in Porto Vecchio or from nearby Bonifacio. Porto-Vecchio makes a good base for exploring this part of Corsica. When you tire of beaches and promenades the mountainous landscape behind Porto-Vecchio has a lot of rewarding and interesting scenery to explore, with craggy mountain tops looming from behind the parasol pines across small mountainous lakes. Follow the route that passes L'Ospedale, Zonza and the Col de Bavella for many of the highlights. 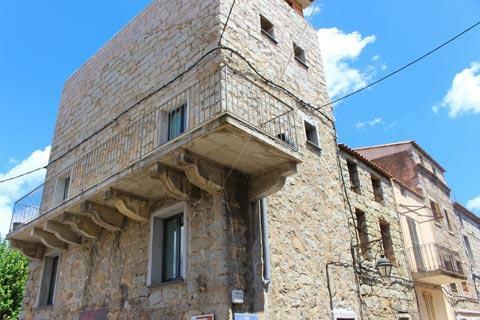 You will also discover numerous small villages and hamlets hidden quietly in the mountains. One of our favourite views along the coast is near the mountain village of Ospedale, followed perhaps by a stroll along the edges of the lake nearby, and a picnic in peaceful surroundings.